Capt. 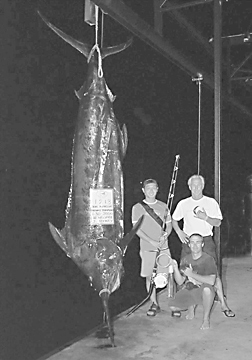 John Rooney of the RENEGADE hooked this huge blue marlin on Super Bowl XXXIV Sunday. It was the day before Daisuke's wedding and he angled the fish in 11/2 hours.